Want to win Free eneloop batteries? HOW TO CHARGE ENELOOP BATTERIES? Basic charge information for (Eneloop) batteries. Is slow charging better than fast charging for Eneloops? I think this is a very common mistake people make. They think that slow charging will result in longer cycle life. This is not true just by itself! They put their Eneloop Pros in a time based charger and think they are treating their batteries nicely. Wrong. Please look at the Tests Page for the 5000 cycles test. It is not mainly about the charge current but when the charge stops. Charging at a slow current can actually be more problematic when the charger can not detect whether a battery is full. At a higher charge rate it is easier for the charger to detect a Voltage drop and Temperature increase and therefore know when to stop charging. These 2 checks can be missed when the batteries are charged at low current! Not every charger terminates at a certain Voltage like the Powerex MH-C9000. My quote for max cycle life: "It`s better to stop the charge prematurely with a high charge current than to overcharge with a low charge current." What do mA and mAh stand for? mA is the unit (milli Ampere) used for the charging current, which you can compare to "the speed of charging". The higher the mA the faster eneloop batteries will charge. mA is also used for the discharge current. Eneloop chargers generally charge between 150 and 1500mA depending on the charger. mAh stands for milli Ampere hour. This refers to the amount of energy (capacity/charge) that a battery contains. On every Eneloop there is a mAh number written. This is the total capacity the battery can contain. A regular white Eneloop AA has a capacity of 1900mAh. What is the difference between mA and mAh? And how do they work? So how does it (not) work! This is a simplified way of looking at it, but not really the way mAh actually works. To simplify it, you take a battery with 1900mAh and a device (let`s take a flashlight for example) that uses a low current of 100mA. The battery will take 19 hours to discharge the battery from 1900 till empty. So 19hours discharge at 100mA equals 1900mAh. Isn`t that the same? Why can`t you use that with charging instead of discharging? 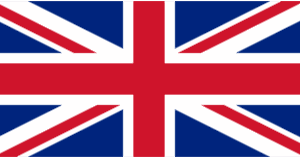 Let`s go back to the first example. A battery charger uses a charge current of 100mA. When you charge the battery for 19 hours you will have 1900mAh charged. This is also written on a standard Eneloop, so the 1900mAh of capacity is now inside the battery. Now you extend the charge time to a total of 25 hours. This would imply that you do 25*100mA which would result in 2500mAh. This is the problem! A 1900mAh battery can only hold 1900 mAh even if you put 2500mA into it. Try to compare it with a 1-gallon jug. Fill the jug with 1 gallon of water and it`s full. When you continue throwing water into it, it will still only be 1 gallon of water inside the jug. When you empty the jug, only 1 gallon of water would come out. This is a very basic way of looking at it. In real life the mAh depends on a few more factors, like the discharge current that is being used, the age of the battery (how much used) and the (ambient) temperature. More on that in the Advanced charging section. Can Eneloop batteries really be charged 2100 times? I believe they can, but under certain conditions. This includes a predefined amount of current for charging and discharging, an ambient temperature of X degrees, and a certain amount of rest within their amount of charge and discharge cycles. I also believe that they can be charged more than 2100 times. It really depends on how you charge them, and how much you discharge them and at what current. So that means that my Eneloop batteries can`t be charged 2100 times? Hmm, most likely you won`t be able to do this. No need to feel upset. Imagine you would charge them twice every week for "just" 1000 times. We are then looking at 104 cycles in a year. In order to get 1000 cycles, you would be using those batteries for over 9 years. I believe that is quite a long time. Imagine how much environmental damage you would have saved by not using Alkaline batteries. 2100 cycles is just a marketing lie? No, definitely not. It is according IEC and JIS testing specifications. A friend of mine, Viking (member on the CPF forum) has helped me to understand these testings. The Japanese JIS 8708 Panasonic now uses is the same as the IEC 61951-2. Sanyo and Panasonic didnt make up some lousy numbers. They tested them according to these standards. The cycles are counted until there is 60% capacity left from the original capacity when the test stops. See the graph for the 2nd generation Eneloops that explains this a little. Please go to the Advanced section below to see how these tests are performed. How long will eneloop batteries hold a charge? Eneloop batteries can hold at least a charge for 10 years! There is a test on this website that shows a 10 year old Sanyo Eneloop still having charge left after 10 years. Another discharge test can be found here: http://budgetlightforum.com/comment/1477075#comment-1477075 where the batteries in question were 12 years and 9 months old. Discharged right out of their package! Eneloop PRO will lose a charge quicker, but still only 15% within 1 year. What is the recommended charge current for Eneloops? The recommended charge rate depends on the model and size. Have a look at all the product sheets on the overview page. There you will see the fast charge current. It`s better not to charge at a very low current because it is more difficult for the charger to recognize if a battery is full. My recommendations for manual chargers; (charge rate: 0.3C-1C). This is also the recommended charge rate by Maha / Powerex. An Eneloop technician actually recommended charging with .5C - 1C. Scroll down to understand what C means. What chargers should I stay away from? Eneloop batteries can generally be charged with any kind of NiMH battery charger. Duracell, Energizer and no-name. But to keep things simple, you better stay away from these 2 kinds of chargers: Ultra fast chargers and Dumb chargers. Ultra Fast chargers use a very high current to charge your batteries. This means that the current will exceed the maximum charge current advised by Panasonic by about 2-3+ times. Check the PDF product sheets for the fast charge currents on the eneloop lineup 2005-2018 page per battery model. A side effect of charging at a high current is heat. One thing that NiMH LSD batteries in general don`t like is, heat. Especially Eneloop PRO cells do not like to be charged hot. This will reduce their life cycle! 2 Examples of the 15-minute chargers which you should be staying away from or only need them in great great emergency. Dumb chargers charge batteries for a set amount of hours. Often they will only charge batteries in pairs. This is not recommended. Eneloop lite AA have a minimum of 950 mAh, and Eneloop Pro AA have a minimum of 2500 mAh. Imagine a charger charging at 100mA for 16 hours, this would exceed the capacity of the Eneloop lite. And not enough for filling up an Eneloop Pro. Fortunately they use a rather low charge current and therefore won`t damage the batteries as much. 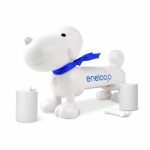 What's the best Eneloop charger? The best and most advanced Eneloop charger currently available is the Panasonic BQ-CC65. It is Panasonic's flagship. Check out more info on the Panasonic BQ-CC65. Or check out where to buy it. Why does my charger sometimes stop at 1.6 V and sometimes at 1.45 V? That is possible. It depends on the battery you charge and how often it is used. The ambient temperature also influences this. If you charge them in a very cold room, your Voltage will be a bit higher than in a warm room. Please take a look at this graph below that is taken from a 4th generation Eneloop standard product sheet. You will see quite a difference in Voltage in relation to Ambient temperature. What charger is recommended for Eneloops? Do I need a special charger? You can charge Eneloops with any NiMH charger. But not everything works well, as you can see above. What you want is a smart charger. Smart chargers can detect when a battery is fully charged and usually have a back-up cut-off using a timer. (See the Advanced section for detailed information) This will limit charging related damage to a minimum. They also charge cells individually so you can remove or add another battery during charging. You can also mix AA and AAA batteries in the same charger as it will look at the individual bays. the Panasonic BQ CC55 for eneloop standard and PRO. It will charge relatively fast and uses colored LED lights to show whether a battery is empty, still charging, fully charged or damaged. This is great for people who don`t want to wait for a long time, and want a clear indicator that batteries are charging, or full. This charger is not recommended to use with the Lite model or older batteries. There is a video on Youtube in Japanese as well as in English that will demonstrate the ways this charger works. The Panasonic BQ CC17 is also used by many, but is quite a bit slower and older. If you don`t care about the charge speed this could be your option. Please look at the eneloop battery charger overview page for more information on all chargers made by Sanyo and Panasonic. 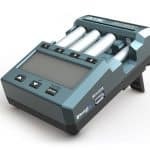 If you are more of a geek take a look at the intelligent analyzer chargers like the Powerex Maha MH C9000, Opus BT-3100/3400, SkyRC MC3000 and the like. These chargers can refresh your batteries, and check the capacity! More about this in the Advanced section. Can I use my (fill in brand) charger for Eneloops? I get this question asked a lot. Yes, you can charge Eneloops with your (fill in brandname here) NiMH battery charger. It all depends on how much you care about it. 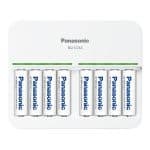 If you are looking for a new charger, look for one that is made by Panasonic, or any advanced charger I listed on the website. What is the maximum charge voltage for Eneloops? 1.2 V is the typical voltage under load. Eneloop AA batteries are mostly charged till about 1.5 or even 1.6V. After the batteries are taken from the charger, the batteries will slowly drop in voltage. So charging till 1.5 V is not bad by itself. See below picture from the Panasonic website . The somewhat horizontal line is under load and about 1.2 Volts. Do I need to charge my new eneloop batteries before I start using them? No, that is not necessary. On the package it also says Ready to use. Which means you can use the batteries right out of the package. Just keep in mind that Eneloops do not come from the factory fully charged. They are charged to about 70% when leaving the factory. So if you want to use the full capacity you should charge them before using. See the list of all Eneloop chargers. How long does it take to recharge Eneloop batteries? It honestly depends on the type of charger you use. 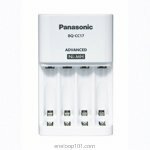 The very popular Panasonic BQ-CC17 charges an AA battery in about 7 hours. While the Panasonic BQ-CC55 charges 4 AA batteries in about 3 hours. Check out the manual of your Eneloop charger to know how long it can take. And if you have an advanced charger you can set the speed by yourself. How do I need to Refresh my Eneloops? Give them a cup of water or even a small icecream will do. Joking aside, you can do a refresh with the built-in Refresh function on some Panasonic and Sanyo Eneloop chargers. And you could do a refresh on a more advanced charger by setting the mA. Want to know what a refresh means? Check out the explanation in the advanced section. Tips! Some chargers like the Lacrosse BT C700 and Voltcraft IPC 1L have problems with refreshing Eneloop PRO batteries when set at 200 mA charge. So better set at max mA, in this case 700mA. Can I refresh Eneloops if I don't have a charger with a refresh option? Sure. Just charge them up with the charger you have, and put them in an old-fashioned flashlight with an incandescent bulb, run it until they're completely dead, then charge them up again. You better use a flashlight with incandescent bulb because most modern LED flashlights have different built-in digital power circuitry which will all work differently and probably quit working before the batteries are completely discharged. 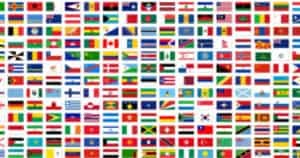 See the list of all Eneloops produced between 2005 and today. What does a 1C / .5C /0.1C charge rate mean? C = equal to (full) capacity. If the capacity of the battery is 2000 mAh and you charge at 1C it will be 1* the capacity of 2000= 2000mA. This means the charge will take 1 hour to charge the battery. If you see a .5C it means half of the capacity, so in this case the half of 2000 = 1000. So at half the charge rate it`s taking 2 hours to fill. Another way to remember it is to say, 0.5C is 0.5 times the capacity. 0.1C is 0.1 times the capacity. A little help: Try to see 1C as 100% charge current. This is a charge termination method that detects a full battery when the Voltage of the battery drops within a certain time during the charge. Delta can be translated as a Change. So if the charger senses a change in voltage so that the Voltage drops (which means negative) within X amount of time it will notice the battery is fully charged. 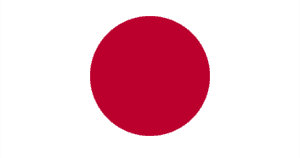 See this graph that HKJ made and look at the Red line. Just before it stops charging you can see it going down. The charger that uses a -dV/dt algorithm detects the battery is fully charged and terminates the charge. The problem with low C charge rates is that the Voltage drop is difficult to measure. Therefore it is better to use a .5C or 1C rate when using this algorithm. Also notice that the black line, temperature rises at the same time, they go hand in hand. What is 0 dV/dt termination? Instead of measuring whether a Voltage drops, like the aforementioned -dV/dt termination, this one does it in a different way. When a battery is depleted the Voltage is lower than when fully charged. When you charge a battery, the Voltage will rise over time. But at a certain Voltage the battery stops increasing its Voltage, and therefore the charger could determine to stop charging. The 0 dV refers to 0 Voltage difference at x amount of time. As the battery tester HKJ has pointed out, this type of termination is sometimes difficult to distinguish from a -dV/dt termination. A charger like the Lacrosse BC700 probably uses this termination, especially at lower current. This is still not a recommended termination for NiMH. This algorithm will charge a battery with a constant current that stays until the Constant Voltage is reached. This is used with charging Lithium-Ion batteries for example, so Panasonic NiMH chargers do not have this charge algorithm. Take a look at the following graph by HKJ. Although constant current is used often for a longer period, they usually slow down when the battery is almost full. What is a trickle charge? Trickle charge is usually referred to keeping a battery on a charger at a very low charge current to keep the battery as full as possible over an extended period of time. NiMH chargers however don`t always include this feature. Some chargers like the Panasonic BQ-CC16 and BQ-CC55 use a 1-hour trickle charge to top off the battery. It might even be the wrong terminology as it is a fairly high Trickle charge and sometimes people call it a top off charge. The BQ-CC17 on the other hand does not use this topping off. Likely because it uses a lower current to begin with. The Maha Powerex MH -C9000 for example has a Break-In option. 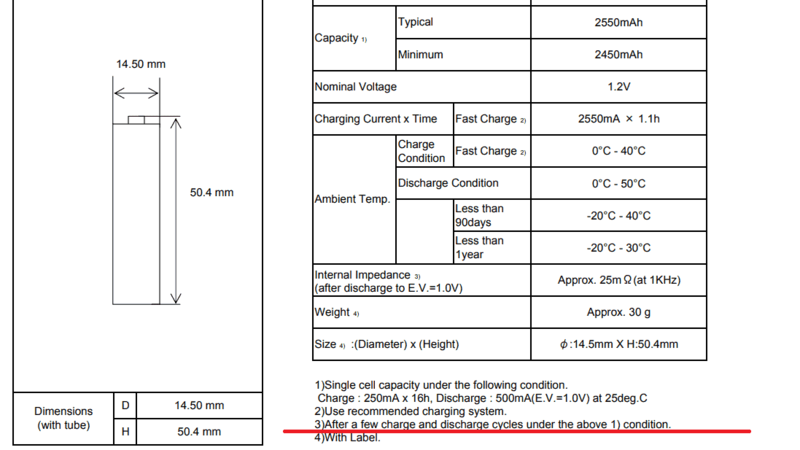 (This should only be used with an empty battery) The charger will charge for 16 hours 0.1C charge rate ,then rest for an hour, do a 0.2C discharge, rest again and at the end to again charge for 16 hours at 0.1C according to their manual. If you do a Analyze or Discharge afterwards you should be able to know the capacity, do NOT look at the "charge capacity" during the Break-In! When to use a break-in with Eneloops? Only with an empty battery! When using rechargeable NiMH batteries people advice to do a Break-In right out of the package. I personally don`t think you need to do this with Eneloops. It`s a great feature for old rechargeable AA or AAA batteries that are almost useless or completely dead. My advice would be to not use the Break-In mode (too often) with Eneloops, especially not with Eneloop Pro. Eneloops don`t really need it unless you want to have the extra 5+% capacity. Ps. New eneloop batteries need a few cycles to get to max capacity... (This is also written in each battery product specifications. What is a Refresh/Analyze mode with Eneloops? Some Sanyo and Panasonic chargers in Japan (used to) have a Battery Refresh mode. This function can be found on many more advanced battery chargers like the ones on the Advanced Charger page. With a Refresh mode the charger will charge, discharge and then do a final charge to complete the cycle. This will normally boost the capacity back to its max capacity. You can use this method with all NiMH batteries, not just Eneloops. This is a very handy feature when reviving older / often used batteries! 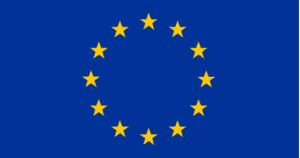 I usually recommend doing a refresh once or twice a year when you don`t use your Eneloops often. BTW you can repeat this Refresh mode if you're not satisfied with the results of the 1st Refresh cycle. Some advanced chargers will continue this cycle until the max capacity is reached. So the continuation of the process may depend on the charger. When to use the Analyze / Refresh mode with Eneloops? When you want to know the capacity, or when you want to give them a little boost. It can be very useful to to match batteries for multi-cell applications. You check which Eneloops have the closest capacity and use those in an application to protect the batteries from an overdischarge / deep discharge. This is a common problem when using batteries in a multi-battery application. Say for example a flashlight that uses 4 AA batteries in series. When 1 battery is charged for 50% and the other 3 to 100%, and you turn on the flashlight, the batteries will drain and the 50% charged battery will be empty before the others and the current keeps flowing through the battery which will damage this battery and increase its internal resistance. It is therefore always advised to use sets of batteries always together, and the eneloop limited editions will greatly help keeping track of your sets. 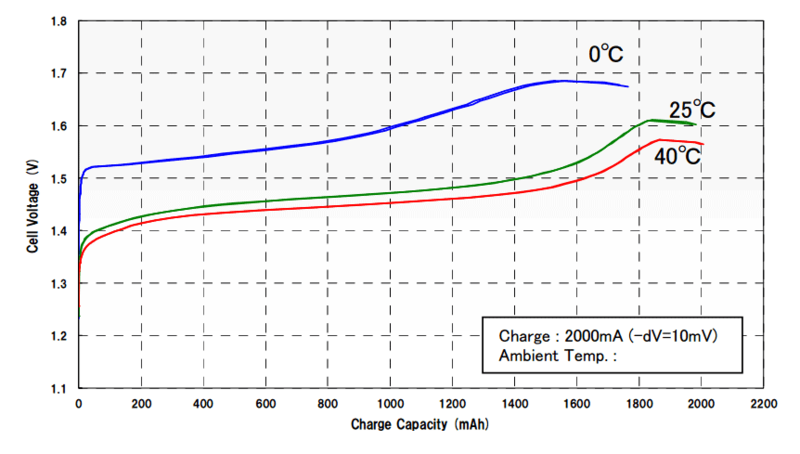 How are the IEC 61951/ JIS 8708 tests performed so Eneloop batteries can claim a 2100 cycle life? Before the battery cycle test is done the battery has to be discharged at a Constant Current of 0.2C which is 380mA for a standard model Eneloop battery. The battery should not rise above 35 degrees during the test. If so the battery should be cooled down by forced air draught. 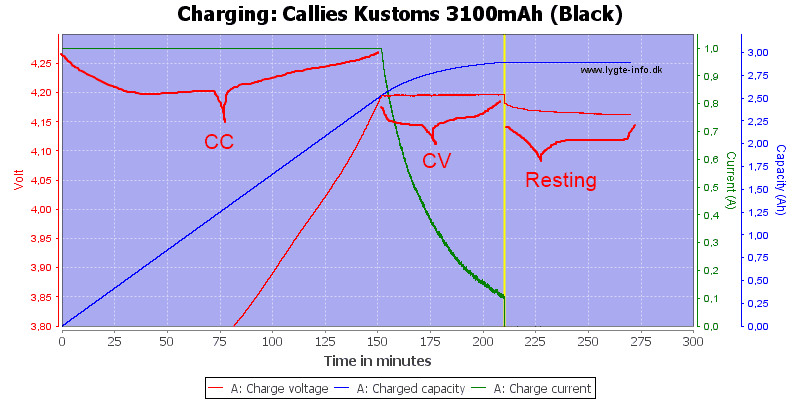 Cycle 2-48: charge at 0.25C for 3 hours and 10 minutes. 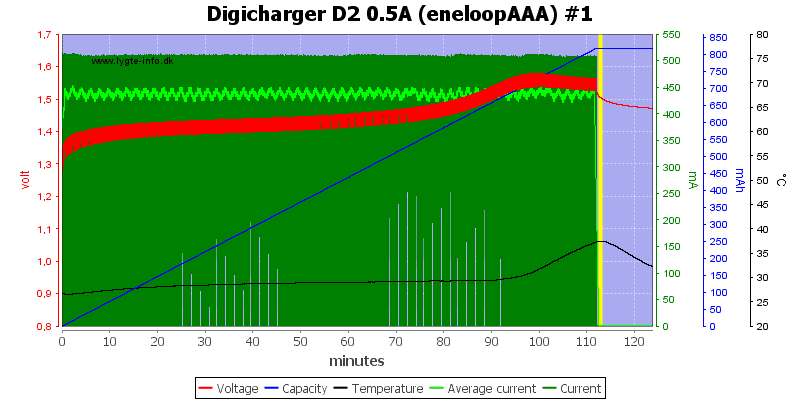 Start discharge directly after charge has finished,without a break at 0.25C for 2 hours and 20 minutes. 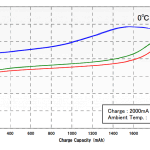 Cycle 50: charge at 0.1C for 16 hours. Rest for 1-4 hours. And discharge at 0.2C to 1V. If cell drops below 1.0V during the 1-48th , the discharge may be terminated. After the Discharge of every 50th cycle it is allowed to stop the cycle test until a later time before continuing with the 51st cycle. 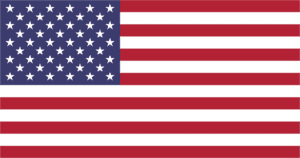 This is also allowed at the 100th, 150th, 200th, 250th, etc. cycle. When does the test stop? When the duration of the 50th discharge cycle becomes less than 3 hours, the discharge test has to be redone according to the specification of the 50th cycle. When both of these cycles have a smaller discharge duration of 3 hours the test is considered complete. At this stage the battery can only provide 60% of its capacity. So the cycle test stops at the 60% mark. Where do you get the 60% from? In the Advanced section at the bottom of this page I explain what C rate means. Imagine a full battery to be at 100% capacity. If we discharge a battery at 20% speed of the full capacity it should take 5 hours till empty. Because 5 times 20% equals 100%. Please understand this before you proceed reading. Well, you can compare 0.2C discharge rate with 20%. (see the Discharge Rate during the 50th cycle). If the 50th discharge cycle ends within 3 hours instead of 5 hours you can calculate the %. If 100% discharge takes 5 hours, then how much percent will 3 hours be? The life cycle test will stop when the battery can`t reach 60% of its original capacity during a 50th cycle-set. (the cycle tests are done in sets of 50 charges and discharges as can be read here above). General Eneloop questions (not charge related) are answered in the Eneloop FAQ. Eneloop batteries are one of the best rechargeable batteries in the world.